When I started this blog I used to post great crafts and DIY projects I thought were pretty unique and that I felt all skill levels could do. These days with Pinterest, etc. it's become much harder to find those kinds of projects. I feel like we've seen it all. But this project from An Extraordinary Day has re-inspired me! 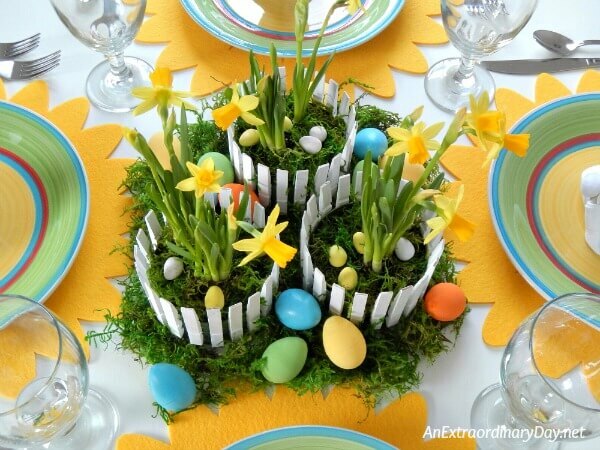 This darling Easter centerpiece is different and really makes a statement on your Easter table. Find the full directions here.